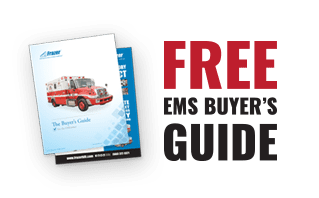 Not having enough storage options is a common problem in the EMS industry. The Frazer Urban Command Vehicle (UCV) literally “takes command” of the front lines in the “storage war”. The Frazer UCV is a Highly Configurable Mobile Toolbox with abundant storage and tons of layout possibilities. 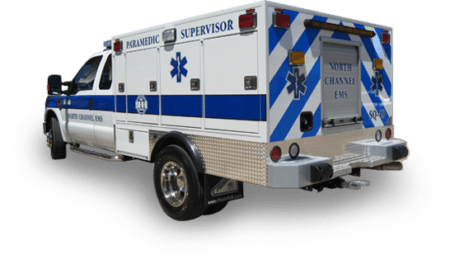 With extra room for crew members the UCV enables more EMTs to get onto the scene quicker and with more equipment than ever before. The UCV can truly be anything you need it to be. 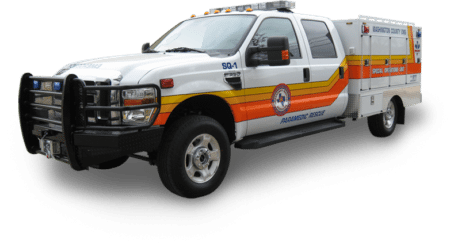 It can function as a first responder, a rescue truck, a support vehicle, it’s also a crew transport and much more. One thing for sure, the UCV is a great addition to your EMS fleet. The separate electrical system and shear plate mounting make the Frazer Urband Command Vehicle simple to remount. Simplifying the remount process makes it a cost effective way to keep your unit on the road for years longer than you thought possible. Add an optional on-board generator to power extra equipment like light towers, battery chargers and additional radio equipment. The Urban Command Vehicle has the same Frazer quality you’ve grown to expect and is built like any Frazer EMS Module: tough, durable and lightweight. Massive storage! And all of it highly accessible. Each storage compartment can be outfitted with a slide out tray which enables quick and easy access to the equipment. 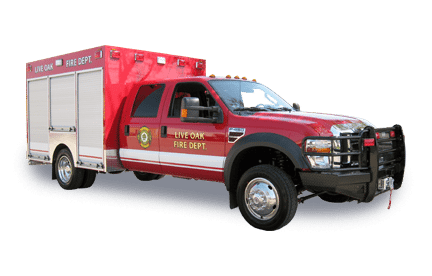 The 8 ft. Frazer UCV is perfect for most EMS services requiring a rescue, squad or first responder vehicle. The compartments are thoughtfully laid out and are configurable to suit your individual needs. The 10ft. Frazer UCV is the perfect solution for EMS services that need even more storage space. 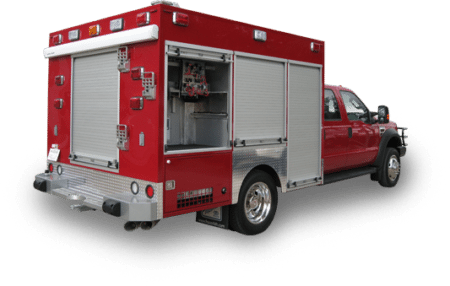 The bigger compartments accommodate more and larger rescue and first response equipment. The 10 ft. UCV can be configured with a taller box and retractable awnings to create a mobile command or triage center. Optional generator power allows for the addition of light towers and other 120-volt powered equipment. Base Frame Ultra strong base frame with 3” x .188” channel and tubing. Welded, dual structural aluminum tubes on all sides and top for maximum strength. Chassis Mounting 3/8” x 4” x 10” steel shear plate mounting per chassis manufacturer’s instructions. Compartment Latches Stainless steel slam latches at all compartment doors. Roll Top Doors Roll Top Doors options are available. Storage Many storage configurations available with adjustable shelving options. SCBA Brackets SCBA Brackets for storing O2 bottles are available in a variety of sizes and locations. Light Towers Optional remote controlled light towers are available for units that contain an on-board generator. Shore Power 30 amp shore power receptacle allows running battery chargers and other equipment in the station off shore power.